It took me a long while to complete this post because my mind was overwhelmed with what to write and how to share what I know. After a long time of thinking, I decided to start with something simple. A dish that is most acceptable and a comfort food for many Asians: Curry Chicken with Potatoes. I first learnt how to cook this dish from my husband. And yes, he was my sifu (Cantonese Chinese for accomplished teacher). In the frying pan, heat up 2 tablespoons of oil. Once heated up, add in the cubed potatoes. Sauté till the potatoes are slightly browned. Scoop them up and put them away on a plate. In the frying pan/pot heat up the rest of the oil and then add in the diced onions, ginger and garlic and stir till fragrant. Add in the curry paste and stir till fragrant. Transfer this mixture into a stock pot. Add in the potatoes and mix again. Add in enough water to cover the chicken and potatoes. Cover and simmer for about 45 minutes and stir occasionally to ensure that it does not burn. Stir and then turn off the heat. Now your curry is ready. Serve with fresh baguette, white rice or fried bee hoon. Chef’s Note: If you have excess curry chicken, you can divide it into portion and freeze it for future consumption. Clear instructions on how to cook this! Bookmarked 🙂 Can consider posting on Pinterest for wider reach. We will be serving some foods at the church next Sunday. And since we’ve been doing the same stuff over and over again, yours is a breath of fresh air. let me go ahead and try this. This is totally not something I would enjoy, but I know my hubby would. He loves curry! It’s amazing how the color of the curry from different countries differ. I’ve been to Singapore and we ordered curry and was surprised that the curry was like yours: orange in color. We were used to the yellow kind of curry. By the way, the potatoes looked so yummy! It sure does looks very yummy! I always love to eat curry! Looks yummy! Will be adding this to my must-try recipe! Chicken Curry is among my favorite meals. This looks really tasty. Curry chicken is actually my new favourite dish! and your recipe looks really yummy – looking forward to trying it soon! Curry chicken..yummy!!!! We would normally added on some beancurd too. Chicken curry.. The soul of the Singaporean spirit!! Thanks for the easy to follow recipe!! p.s. Love to know more Singaporean bloggers! Chat up with me soon, ya? Wow… my boyfie love curry chicken with potatoes much. Thanks for the recipe. I can cook for him..
Looks yummy! Which brand of curry powder would you recommend babe? Chicken curry is a fave in my household! Hi babe! 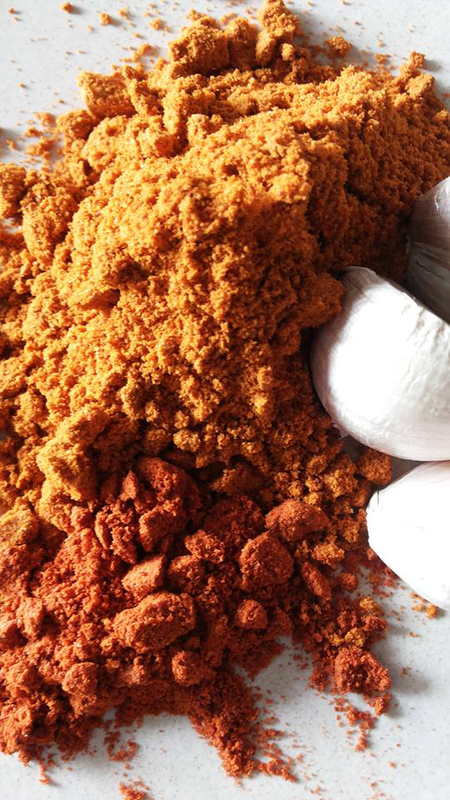 The brand of curry powder that I use is Earthen Pot. I hope that helps!